Gov. Gregoire’s ocean acidification panel is wrapping up its recommendations for deterring an oyster apocalypse and lawmakers aren’t wasting any time. Lawmakers will introduce a new bill to tackle Washington’s ocean acidification troubles prior to the upcoming state legislative session in January, according to state Sen. Kevin Ranker (D-Orcas Island). Ranker told Crosscut that the potential bill has both Democrat and Republican support, just after he left a Friday meeting of Gov. Chris Gregoire’s panel to combat ocean acidification. Gubernatorial candidates Jay Inslee and Rob McKenna, he said, have also been kept in the loop on the findings of the panel. The 28-member panel — to which Ranker belongs and which is made up of legislators, state agency officials, environmentalists, scientists and business representatives — met Friday to discuss a 43-item list of ocean acidification projects that it believes the state should tackle. So far the list includes roughly 20 top priority measures. Though Ranker declined to discuss the details of the still-in-the-works bill, he argued at the meeting Friday that the entire list of recommendations is far too long to be taken seriously by the the legislature, which will have to find money to fund these efforts. Instead he pushed his fellow panelists to narrow down the list to its top three to five priorities for dealing with the increasing acidity of Puget Sound and the state’s Pacific Coast, which has become a growing threat to the Northwest’s $270 million shellfish industry. Thanks to rising acidity levelsin Northwest waters, tiny oyster shells in Washington’s Dabob Bay and in Oregon’s Netarts Bay are crumbling faster than they can grow back; a problem that has cut sharply into this year’s oyster harvests. Scientists have pinpointed a drop in the water’s pH as the cause; a trend that has two primary contributing factors: additional carbon dioxide in the air and nitrogen-laden nutrients that seep from cities, septic tanks and agriculture into the ocean. PH measures the acidity or alkalinity of a fluid on a 14-point scale — the lower the number, the more acidic the liquid. Distilled water is considered “neutral” and sea water normally has a pH of 8.1 to 8.2, well within the narrow pH spectrum that allows shellfish to survive. At 100 feet deep, Dabob Bay water has sometimes been measured at a pH of 7.5. Recent studies have shown scientists that not only is the acidification of ocean water increasing, but that that increase is accelerating. Near the beginning of the Industrial Revolution — 250 years ago — the atmosphere’s carbon dioxide content is said to have been roughly 280 parts per million. Today the atmosphere is at about 390 ppm. The increase in carbon dioxide density in the air — and in the sea — is expected to significantly accelerate this century. It is an issue that will ultimately require collaboration by the legislature, state agencies and the private sector. Still, panelists worried Friday that taking funding or political feasibilities into account would begin watering down recommendations before they’d even left the panel. “I’m afraid if we put in political, social or funding considerations, we’ll drop some of it,” Ruckelshaus said. “That makes it really easy to blame the legislature if something doesn’t get done,” quipped Jay Manning, Gregoire’s former chief of staff and the co-chairman of the panel. In the end panelists agreed to select three to five top priorities by ecological urgency rather than by political and funding feasibility. Those top priorities are the only major missing piece of a report on Washington’s ocean acidification woes scheduled to be submitted Nov. 27 to Gregoire and her successor as governor; the first state effort of its kind in the nation. 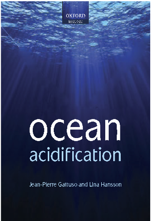 Reducing air emissions that can be linked to local ocean water acidity. Reducing amounts of nutrients flowing into local sea water. These measures could involve overhauling sewage treatment plants and other sewage system to meet standards that still need to be set.. Exploring using salt-water vegetation to combat the impact of ocean acidification. 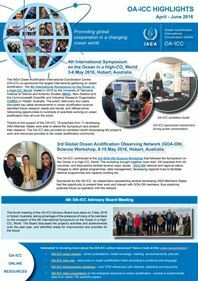 Improving and expanding monitoring of ocean acidification. Not every panel member was quite as gung-ho as Ranker on the issue though. Weyerhaeuser’s Sara Kendall pointed out that Washington cannot solve the problem of global ocean acidification by itself, and that the state business community will have concerns over potential extra regulations that could come from this effort. Still, panelist Bill Dewey of Taylor Shellfish said the shellfish industry would be willing to invest more to tackle this problem. “Even if we can deal with .00001 percent of the problem, I want to deal with that .00001 percent,” Ranker said. Maintaining momentum on the initiative through to the next governorship will be another challenge for the panel, which noted that the future governor might have his own approach to dealing with ocean acidification. Most agreed that the venture should be overseen by an official who reports directly to the governor, in order to maintain its effectivity. “The governor has got to be clearly behind it for it to work,” Ruckelshaus said. John Stang, Crosscut, 15 October 2012. Article.